It's finally here. One of the biggest and most hyped games of this generation has arrived. 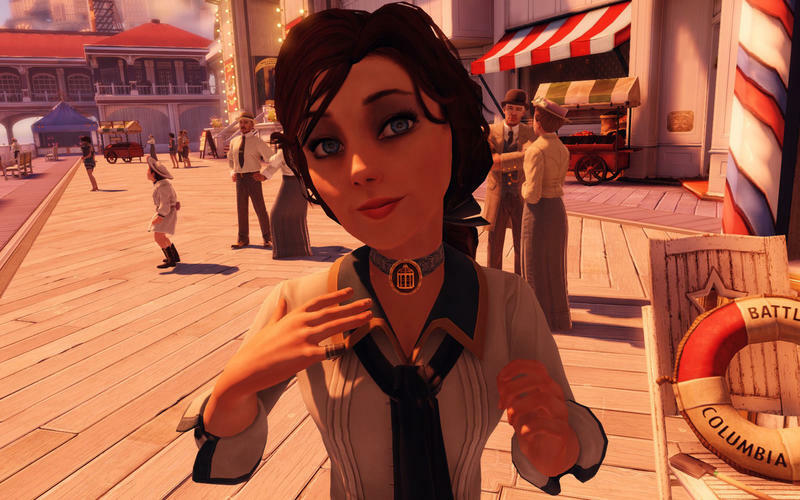 BioShock Infinite is Irrational Games second foray into the franchise, and it is, without a doubt, an achievement. BioShock Infinite is a wonderful game. It's a testament to what massive development teams and tons of creative time can do for the gaming medium. However, it comes with its own set of flaws. You'll fall in love with Columbia and Elizabeth, the female lead in this adventure. You'll have a blast exploring the virtual world created by Irrational Games. But it won't happen without frustration. A word of warning as far as spoilers go, before we get to the actual review. We'll keep this piece as spoiler-free as we possibly can. We try not to give away anything major, but this is a discussion of the entire game. As such, we touch on elements connected to the story that affect the pacing and gameplay within. Keep that in mind while reading. There is a whole section of this review that's built with spoilers in mind, but we will clearly mark it as such. If you haven't played BioShock Infinite, follow our directions and skip that section when it comes up. One more note. To further avoid spoilers, the screenshots used in this review were grabbed during the opening moments of the game or come from official press releases. 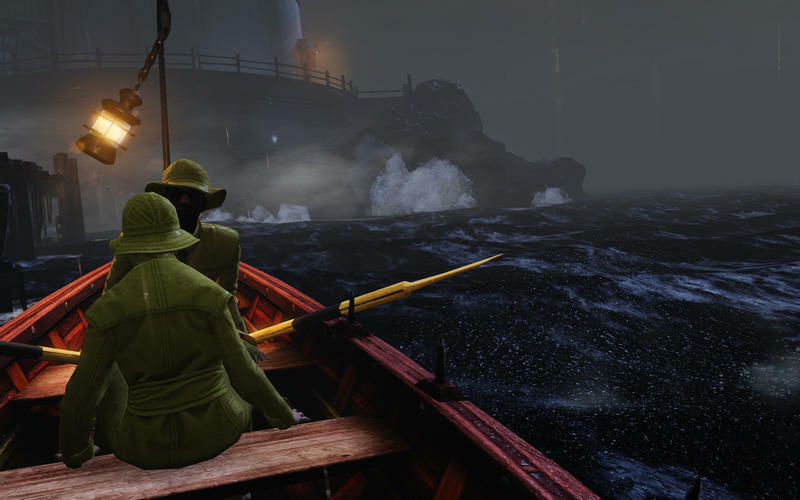 Joey Davidson: Between the trailers, previews and screenshots for BioShock Infinite, one of the most consistently gripping elements is the floating city of Columbia. 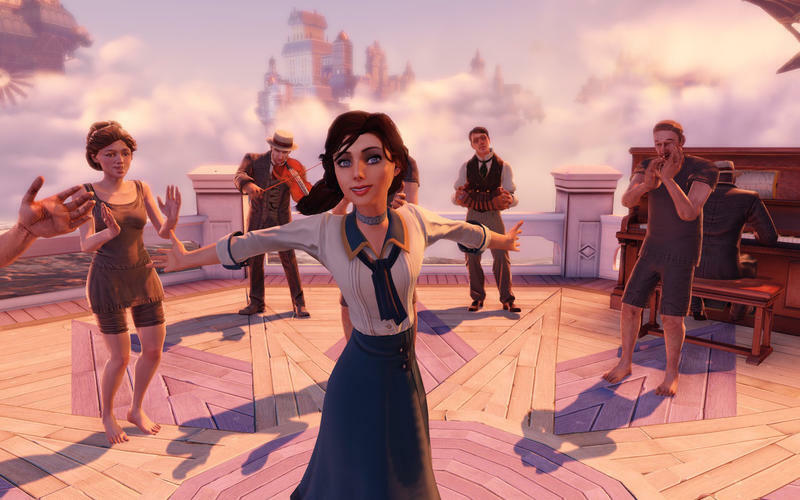 Irrational Games has a penchant for building wonderful locales that seem to stand as characters in their own right, like with Rapture from the original BioShock, and that remains true for Columbia. Ron, what is it about this wonderful city that's so enthralling? Ron Duwell: Without a doubt, it's the familiarity of the faux Americana setting. Irrational Games takes many images seen in our history books and favorite time period movies, and they've created what seems like an ideal image of what the American forefathers had in mind. Barbershop quartets, peaceful families living out innocent lives with white-picket fences, clear skies, and local festivals where neighbors dance and laugh together. These are images so ingrained into our mindsets that it becomes difficult to separate from our American fantasies, and it becomes even more difficult to see that fantasy slowly tear itself apart. Joey: Absolutely. The opening moments of this game, perhaps the first several hours, present such a crazy take on the American history we grew up learning. The city of Columbia is one of a unique perception. 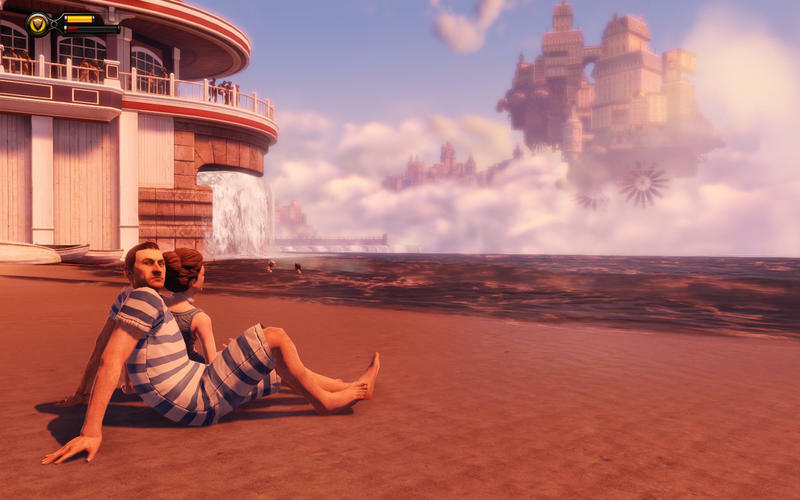 What's right and good in our world might be conceived as wrong and evil in theirs, and exploring those tropes as an outsider is one of the most rewarding pieces of BioShock Infinite. And that translates to the deliberate tone and art style as well. Irrational created a living world that feels so unique and original. Everything has a specific look and texture that makes it feel at home in this false 1912 Columbia. Ron: Everywhere we travel in the city, we are given a unique look on what we've grown to know. Early images like colossal statues of Benjamin Franklin, George Washington and Thomas Jefferson are given totally new meaning when placed in a religious context. And yet, we see these men represented by huge slabs of stone all the time. 1912 is also a very unique era for video games to explore. Should history ever arise in a video game, it's typically during a time of great strife and conflict. BioShock Infinite finds itself stuck on the closing end of the Wild West but before the outbreak of World War I, during a time of peace when America began to emerge on the world stage as a superpower. It's interesting not only to see settings and architecture typically foreign to games, but also experience how America could have just as easily gotten lost in its own image and take a completely different turn. Joey: I absolutely applaud Irrational for the world they created. The early moments of BioShock Infinite stand as some that I've never experienced in the gaming medium. A lot of that arrives compliments of the city of Columbia and the premise of this world. Ron: Much like the first BioShock, Irrational opens this game under similar mysterious circumstances. A man with nothing but a note demanding a girl be handed over is sailing towards an eerily familiar lighthouse. Only this time, the destination from its base is up and not down. 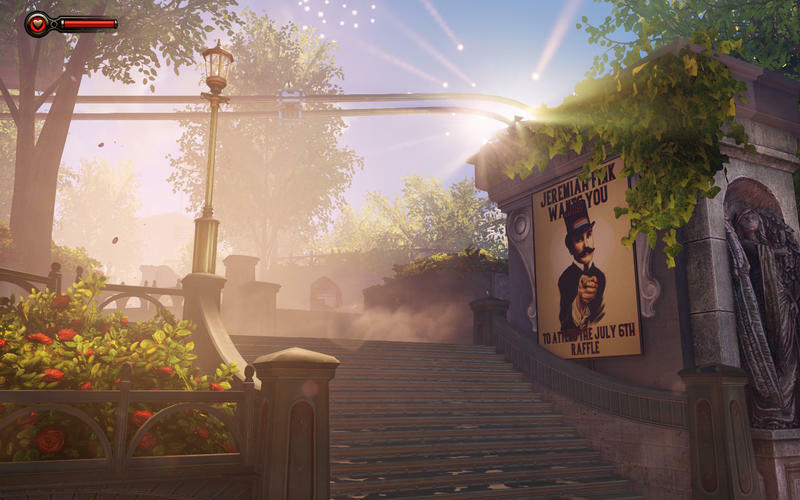 BioShock Infinite plays to the pacing established in the first game, creating a situation where nothing is as it seems and everything is slowly revealed over time. We learn more and more about why this Booker DeWitt has come to Columbia not through forced cutscenes but rather the conversations and clues left behind by the plot's key players. Joey: Next to the city of Columbia and the character of Elizabeth, which we'll get to later, the pacing is absolutely one of BioShock Infinite's greatest traits. You won't fire a gun for a long time after the game opens, and you won't feel bad about that fact. Irrational convinces you right from the start that Columbia should be explored, and the city offers up tons of opportunities to go left when the plot lies to the right. That exploration delivers secrets and nuances that are exceptionally rewarding. Pacing is a really tough thing to nail. Either you beat players over the head with constant action, something that makes a game far too bland, or you lull them to sleep with far too much exposition. 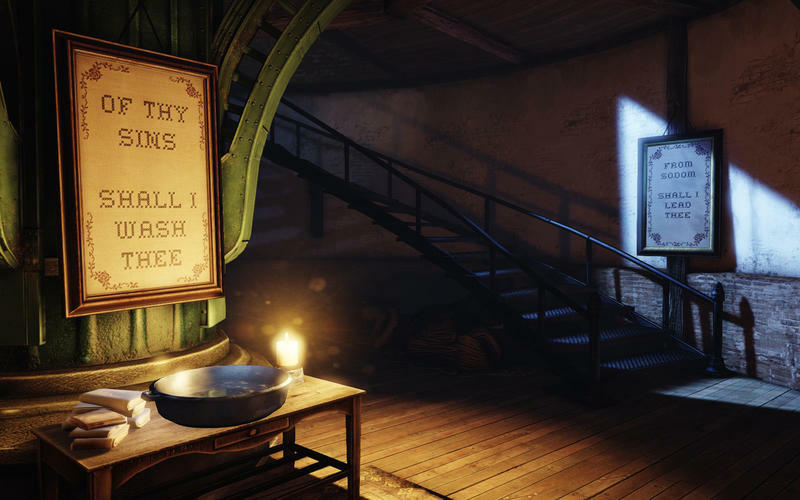 BioShock Infinite finds an astounding middle ground. You'll love combat and you'll love the quiet. Both give way to the further development of the characters at play. Ron: The protagonist in this game has a lot more to say than the voiceless nameless hero of the first one. Booker DeWitt is a former soldier lost in the suffering of his choices during the Wounded Knee Massacre. Rather than making amends, he gambles and drinks his life away regretting the past. While I personally prefer the silent protagonist, implanting my own thoughts into the game's dialogue rather than having pre-arranged ones narrated for me, Irrational's hero this time around does just enough to separate himself from the typical hard-talking protagonists found in today's world. I wouldn't call him memorable compared to the setting or stronger characters though. Once again, the background players are the real stars here, and none moreso than the antagonist. The self-proclaimed prophet of Columbia, Comstock, doesn't even say much until the closing hours of the game, but by the time he is reached, we already know much about him through his recordings and teachings. Controversial stances on slavery, lifestyles based on literal interpretations of both the Bible and American Constitution, he's an incredibly deep and flawed character. He exists while transforming what so many Americans in the real world hold dear and morphing into his twisted schemes. Joey: Which brings me to my personal favorite for in-game characters: Elizabeth. Irrational wanted to create a partner for the hero and the player that would be endearing, dramatic and very much alive. They succeeded on all counts with Elizabeth. She accompanies you throughout a massive chunk of your journey through Columbia. She's the centerpiece of each and every moment of plot throughout the game. She never gets in the way, and she often helps you out of pinches in combat. Before the game wraps up, you'll become incredibly attached to Elizabeth. You'll depend on her, you'll want to help her and you'll probably be more interested in her backstory than your own. She's been wonderfully designed, and she'll likely go down as one of the best companions in gaming history. Ron: Indeed, there is a short period of time when she is separated from Booker in the plot, and I found myself dying left and right without her throwing a constant supply health-ups and ammo at me or opening up tears to create turrets or cover during intense firefights. There are times when I felt a little too dependant on her. I'm not sure if Irrational had intended the game to make me just as attached to her as a savior through gameplay alongside the plot, but they succeeded masterfully in that regard as well. If I had any problems with the game's plot, it would be the jump in introducing the idea of "tears." Without giving too much away, tears emerge roughly a third of the way into game as a portal into another dimension. While I just accepted this at first as a fun little gimmick ability of Elizabeth's at first, it caught me off guard as it quickly became the main focus of the story. Joey: Ah, tears. We disagree on that one, but let's save that for a later section. Joey: Like I mentioned before, all of this beauty and complexity doesn't come without its issues. BioShock Infinite is not perfect. No game is perfect. There were a few things that bugged both Ron and I about the game as we were playing it. One of the easiest to forgive is the AI of the citizens of Columbia. I noticed something while I was moving about the city during my play through: the only citizens who actually move around the city are those who are in the process of attacking you. Everyone else is standing or sitting in one spot. For a city that otherwise feels so living and vivid, this struck me as astoundingly odd. It's a minor complaint, of course, but it's the beginning of a list. Ron, what did you find off putting? Ron: I was let down by the weapons. One of the great thing about the first BioShock was that each weapon was unique in Rapture. you pick up the pistol for the first time, and that is your pistol for the entire game. You pick up the Tommy gun and shotgun, and those are yours for the entire game. I felt really attached to my weapons and wanted to improve them all to maximum capacity. BioShock Infinite takes a much more casual approach to weapon ownership in that Booker simply tosses them aside for whatever weapon is available. It follows in line with the "two-gun" approach found in Halo and Call of Duty. Sure, they are upgraded in similar matter at vending machines scattered throughout the world, but at the rate they come and go, they never end up feeling like my weapons. I also dislike the large selection of weapons. 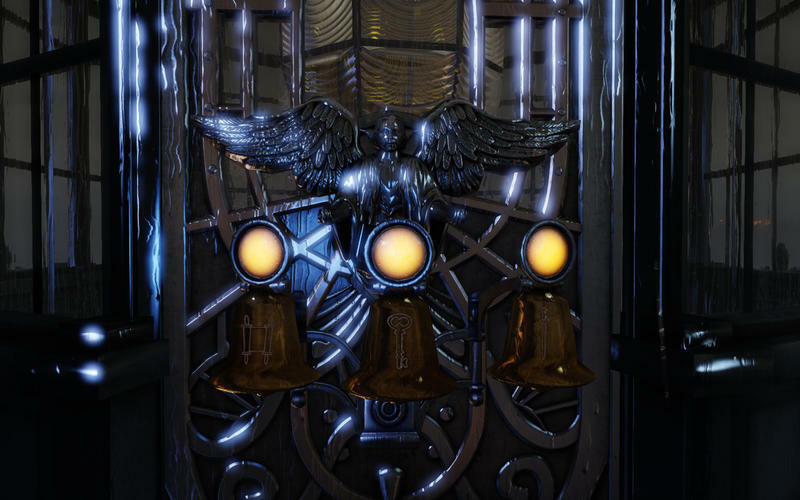 BioShock's six weapons each had a purpose and a situation to be used in, and none of them fell into irrelevancy because you'll end up needing them at some point. Even the melee wrench was useful towards the end. Not only are they useful, but you know them so well that making the decision on which to use become second nature. Here it all falls down into personal style. I prefer to fight at a distance, so I used the Carbine file pretty much the entire game. Going through each weapon and finding a use was such a chore, not to mention putting effort into improving guns you rarely use. Joey: Agreed on all counts. I liked the guns, I liked using them in combat and I liked the way they felt. However, I was never attached to any weapon for very long. I loved my Vigors and used them constantly, but the guns felt almost meaningless. Equally meaningless were the boss-style enemies. One of the biggest draws and qualities of the original BioShock was the Big Daddy. This hulking mass of enemy was tough in a fight, interesting as a character and one of the best remembered baddies in all of gaming. BioShock Infinite delivers four "big baddies," though none of them feel all that important. In fact, they each feel far too scripted and easy to beat to stand as anything more than a break in fighting foot soldiers. The Handyman is essentially a bullet sponge with a good melee attack, the Motorized Patriot is slow and fires tons of ammo and the Boys of Silence are basically creepy alarms. They appear occasionally, and they never cause you to sit back and think, "well, crap, I'm in trouble." They all felt very flat. Ron: Only a handful of times did I ever feel threatened by one of these jokers, and even then, it was nothing a few rounds of bullets and a well placed fireball couldn't fix. Or better yet, ducking for cover to recharge your shields. I'm not sure how I feel about that inclusion because while it might have cheapened the intensity of some fights, I certainly used it a lot to save my hide. It's one example of how the more casual shooter market had an effect on this game for better or worse. In fact, the scariest monster of them all, the Songbird, had a huge build-up which more than paid off in the end, but hardly in the fashion I and most likely many other gamers had anticipated. I can almost forgive an entire game of lame boss situations with how well Irrational handled the final combat scenario. Joey: I loved that final combat scenario, too. So much, in fact, that I was almost able to overlook another issue to took with the late center of the game. There's a portion where you interact with a form of Lady Comstock (I really don't want to expand on this too much). Unfortunately, it boils down to a fetch quest. This was one of the few times that exploration felt a little forced and obnoxious in Infinite. I feel like Irrational had a story note they wanted to hit with Lady Comstock's side of the tale, but I think the way they did it was a little too awkward. Where the rest of the game felt beautifully driven and engaging, this moment felt forced and not nearly as fun. Ron: And now we get to talk about "Tears." Joey and I disagree on the use of this dimension jumping element added to the game once Booker stumbles across the fabled Elizabeth. For my part, and I should probably accept the fault as this is coming from a studio famous for their twists, I was really into the game up until this point. There was a wonderful set-up with the picture perfect American civilization in the sky, an elitist high class of white people enjoying the fruits of religion and capitalism, an underground rebellion led by former-slaves and disgruntled Irish outcasts, and a Disney Princess lookalike who Booker either has to save or turn in for the bounty. Call me a little old fashioned, but I much prefer a solid and simple story to one that loses itself in convolution. Before you know it, this setup loses its meaning when the entire circumstance changes at the touch of a button. The weapon maker's tools are in the prison cell. How do we get them out? Do we think of a clever way of transporting them or do we just say "Look! A rift to a world where we already did it!" The introduction of multiple dimensions detracted from the false American history I was eating up like candy. 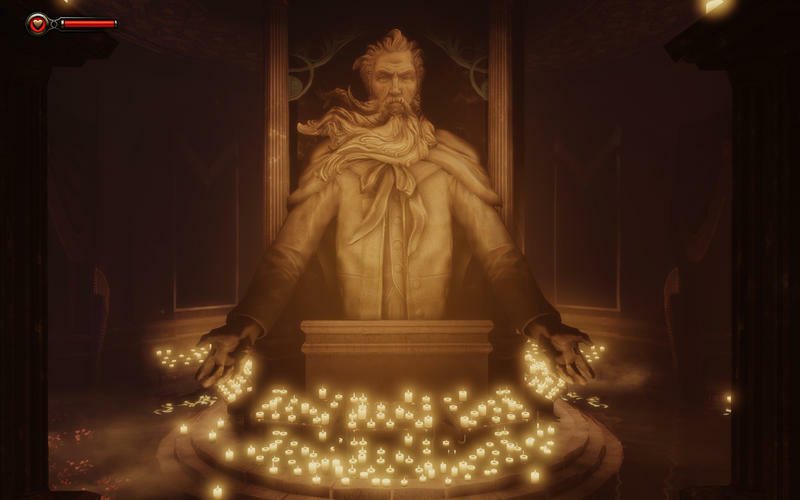 Slate was one of the more interesting characters in the game, and I wanted to see more of his story, but this was about the time when Infinite starting becoming more about Elizabeth and less about the city of Columbia. Joey: I liked the tears. I think they were a perfect element when it came to the actual story of BioShock Infinite. While they did rip, so to speak, me away from the wondrous world of Columbia, I knew that Irrational was using them for a greater purpose. I think you hit the nail on the head, Ron. 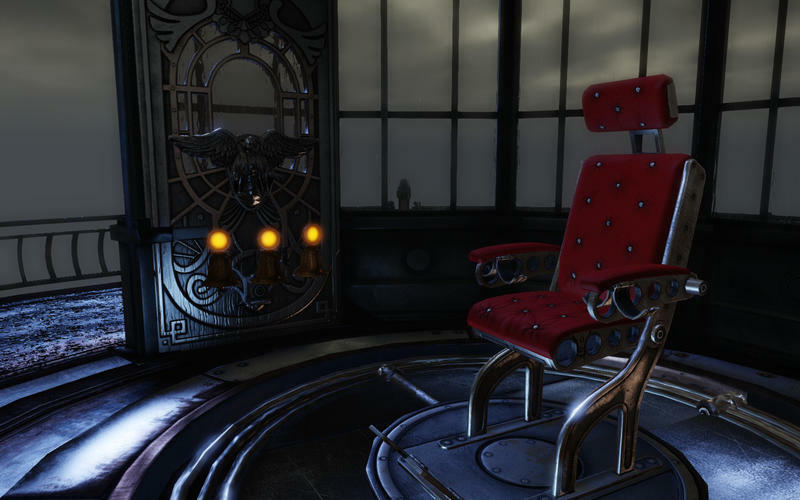 I was able to accept the oddity of the tears as a mechanic because I knew Irrational is a studio with a history of twists. The tears are a central theme throughout the last several hours of the game, and I think they were handled beautifully. Without the tears, the twist wouldn't be possible. This would have been a cut and dry "rescue the princess" game. Sure, they were a really odd choice, but I think the tears fit into the world of Infinite perfectly. Ron: I came to accept them once the twist ending did occur, and I'm glad they finally paid off because the ending hits it out of the park. However, that left me through a huge portion of the game hoping that we would eventually get back to the historical references and rewriting of history. The first BioShock was a little more episodic in nature, so I expected jumps in logic from room to room. This changed into a more continuous storyline, and I felt a little anxious leaving objectives unfinished simply because "they were already handled in a different world." If I had known the big twist would depend on them earlier in the game, it might have saved me a little frustration, but I guess that's the point of a twist. …I much prefer a solid and simple story to one that loses itself in convolution. …they were a really odd choice, but I think the tears fit into the world of Infinite perfectly. Spoiler Warning: Skip this section if you haven't played BioShock Infinite yet. We don't reveal the ending, but we do cover little magical bits that you definitely won't want spoiled before you experience them first hand. Joey: Let's get back to the stuff that we agree is wonderful. 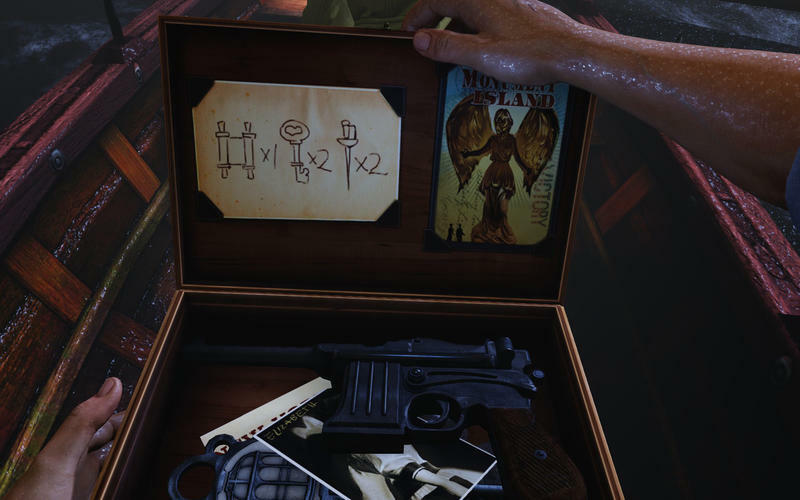 BioShock Infinite uses tears and time-twisting science to rope in these really awesome nods to the future. These tiny, little hints paint a unique picture for the events that eventually unfold in the storyline. Stuff like seeing "Revenge of the Jedi," the original name of Return of the Jedi, written in French on a movie marquee in one of Elizabeth's tears. Or hearing a barbershop quartet singing Beach Boys music. These little moments make you sit back and think "wow," and they happen almost throughout the entirety of the game. They don't add up to this massive moment of clarity, but they help flesh out this universe that depends wholly on the flow of time. Ron: Not just nods to the future as well, but plenty of small little "Oh yeah! Of course" moments aimed at our own history. Booker stumbles across an area known as the Raven Brotherhood during the early part of his travels, and who else does this establishment worship, but John Wilkes Booth, murderer of the beloved Abraham Lincoln. While it might come as a shock at first, the moment arrives when you realize that of course a floating city of white supremacists would worship the murderer of the man who ended slavery in America. 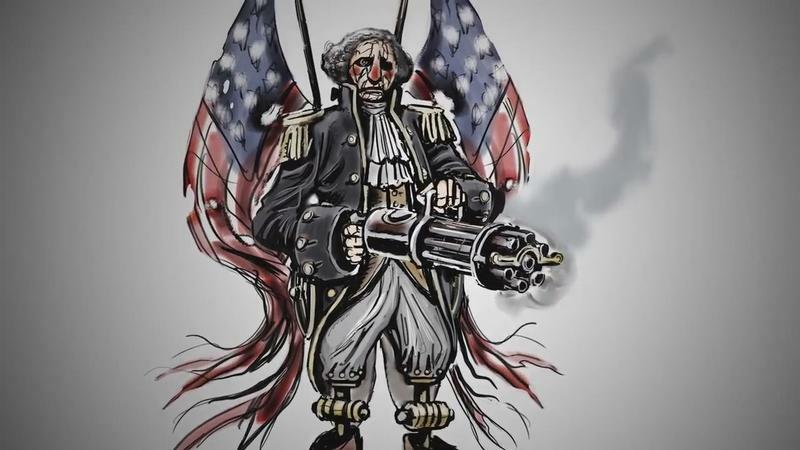 We tend to group Lincoln right up there with Washington, Jefferson, and Franklin as one of the more important figures in our history, but BioShock Infinite reminds us that he came from a different time period when the constitution held a very different meaning to the public. Ron: I suppose the big question comes down to "Do we like it?" I'll have to give a solid "yes." BioShock Infinite is a modern marvel of storytelling, and it integrates real world problems into a narrative in a whole new direction beyond simply having soldiers shoot bullets at terrorists. The product does come up a bit short of expectations thanks to a few nagging problems that just can't be shaken. It's not fair to have to live up the watershed experience BioShock created for a massive amount of gamers, but if you want to slap the brand name on a game and call it a sequel, you're going to have to try. BioShock Infinite improves a lot of the established formula of BioShock with exciting combat and super-powers, but doesn't do enough to make it a revolution of game ideas. Too many of the risky ideas have been stripped away for influences from the casual shooter market like the "two-gun" system and rechargeable shield. Joey: I get the distinct feeling that I liked the game a touch better than you did, Ron. But, I think you're right when it comes to improvement over revolution. BioShock Infinite is not a mold-breaker. It's a hallmark, it's a bastion of quality and it's a new peg for storytelling, but it's not reinventing the medium. I think this is a game every single gamer should play. Whether you're a diehard fan or a passing enthusiast, BioShock Infinite is a beautiful ride well worth your money and time. It isn't perfect, but it is great. Disclaimer: We purchased our copies of BioShock Infinite with company funds. We played the game on the PC and PlayStation 3. We both beat the title before starting this review.